Photosynthesis Academy is an initiative by M.Sc Physics 1st Rank Holder, NIT Calicut Alumnus and an experienced tutor with 30+ years of experience in teaching.We have centers in Pai Layout and Nagavarapalya. "Sir and Ma'am were very sincere.I joined late and still portions got over by October and thorough revision was done which helped me a lot. " "Sincere teachers.Helped me in concept building. Manorama mam is experienced and strict in terms of studying. " nihonium (Nh), moscovium (Mc), tennessine (Ts), and oganesson (Og), respectively for element 113, 115, 117, and 118. Find the maximum value of (x^4-x^2)/(x^6+2x^3-1). What reference books should I buy for class 11 CBSE maths ? 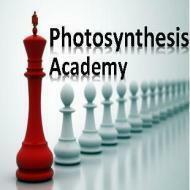 Photosynthesis Academy conducts classes in Class 10 Tuition, Class 11 Tuition and Class 12 Tuition. It is located in A Narayanapura, Bangalore. It takes Regular Classes- at the Institute. It has got 2 reviews till now with 100% positive feedback.